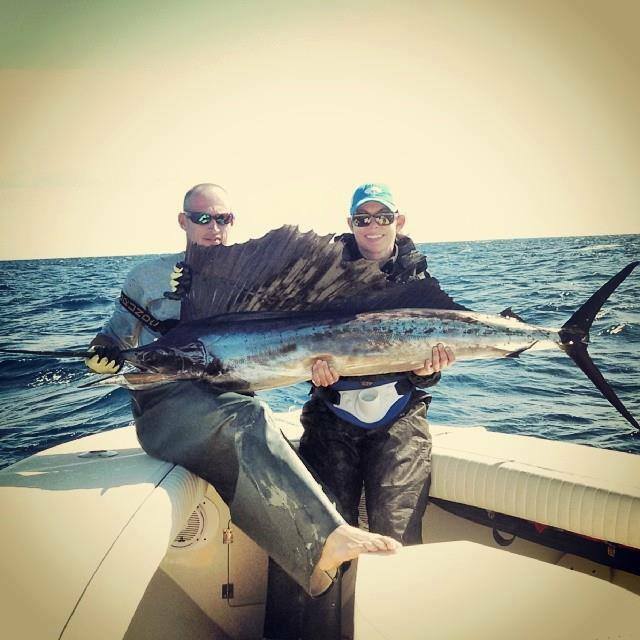 Islamorada inshore & offshore fishing report. Inshore tucked under the mangroves we are finding and filling up the cooler with snapper! As we pole along the edges of the shoreline – redfish are being found traveling among the feeding sheepshead. With live bait (shrimp) you can get a sheepshead to eat but sometimes they get easily spooked. There is so much life out here to see: bait, blue crabs, horseshoe crabs, bald eagles, egrets and dolphins. It’s beautiful out back and there are plenty of places to get out of the wind making it easier to sight fish. In the shallow grassy flats, redfish can be found tailing/feeding on a falling tide. We’re using soft plastics and flies. Around this area we will come across sandy beds where there are often times snook hiding. There were also several large schools of sheepshead who were at times tailing as well. As you get closer you can see the difference with sheepshead in the tails as it’s more of a clear blushish tone. There have been reports of the wahoo bite getting better as well. We are catching kingfish, Spanish mackerel, yellowtail on the reefs, mutton snapper on the bottom and blackfin tuna while drifting. We have done some bottom fishing on the wrecks just north of Sombrero Reef. Using live pilchards for bait we caught several amberjack, jack crevalle and snapper. Plenty of rod bending action for our charter clients. The sail action has improved in the last few days from the past couple weeks. It’s hard to give a solid answer as to why the bite slows off and on but we rely often on the moon phases. Generally, the best sailfish bite are in the days leading up to the full moon. Our next new moon is February 10th and next full moon is on February 25th.